Title: Does Accelerated Expansion Require Dark Energy? Note: The Bardeen Symposium will continue tomorrow, September 24 from 9:00 a.m. to 5:00 p.m. The Wilson Hall Cafe accepts Visa, Master Card, Discover and American Express at Cash Register #1. 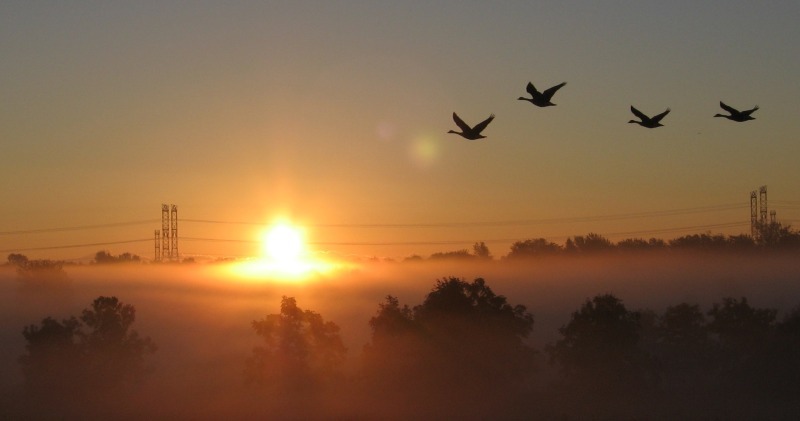 The buzz on Fermilab's prairie is changing. With a continued push to restore the lab's land to a self-sustaining ecosystem, pollination could be key to striking the balance. For that reason, ecologists are concerned about a decrease in bee diversity seen in the last decade. 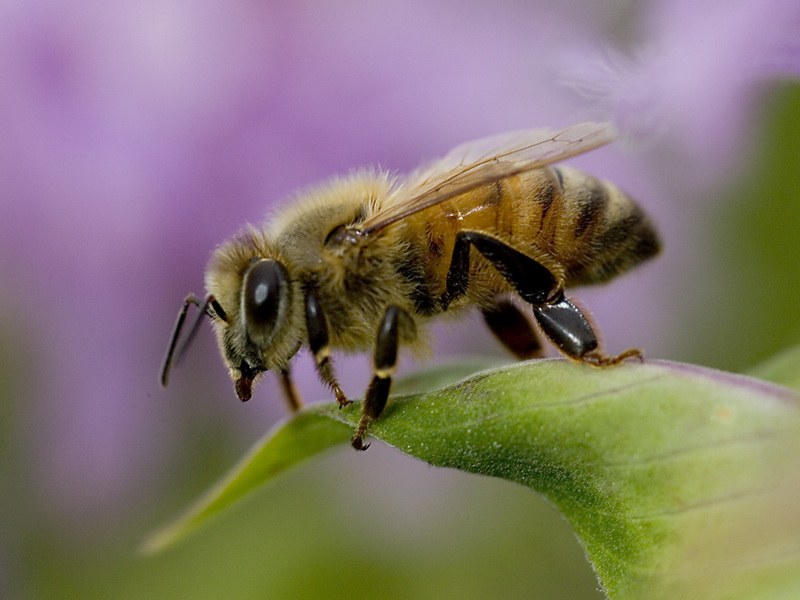 In 1993, a study of Fermilab's bees found several native species on site, with honeybees, a European species, making up just 7 percent of the population. But a study published in July by Lederman Science Center docents Sue Sheehan and Dee Huie and resident ecologist Rod Walton showed that honeybees are edging out the native species: They now make up 43 percent of the total population, more than a six-fold increase since 1993. Although honeybees are good pollinators, bumblebees and other native species are better suited to pollinate the prairie plants encouraged on site, said Walton, of the Facilities Engineering Services Section. "We're trying to reconstruct the prairie community and in order to do that, ideally you want to have all the plant species and all the animal species that were present in pre-European times," Walton said. One reason for the abundance of honeybees could be an increase in sweet white clover on the prairie, Sheehan said. 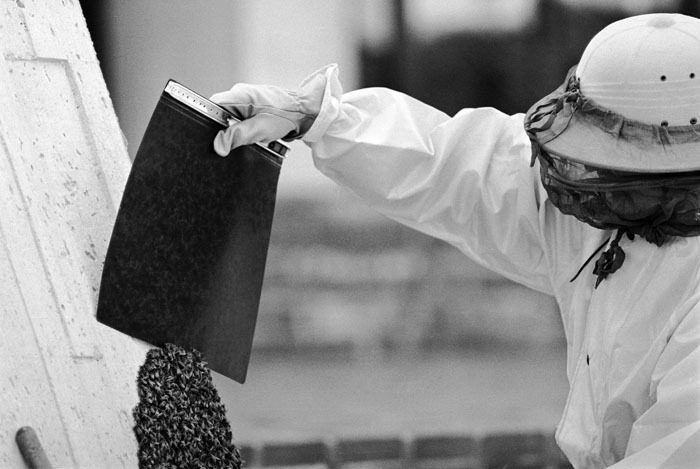 And honeybee hives that were maintained on site until the early 1980s also could have encouraged wild colonies to form and outcompete other species, Huie said. Ecologists wonder how the lack of pollinator diversity will affect the prairie's ability to sustain itself without manual reseeding. The answer won't be known without further study, Huie said: "Whether the prairie can be sustainable with the insects we have here, or whether we should introduce new insects, no one really knows." UK particle physicists have started the next phase of testing for the world's largest computing grid. The tests aim to improve the grid being built to process data from the Large Hadron Collider (LHC), currently being built at Cern in Geneva. The latest test has seen particle physics grid sites in the UK exchanging data at high rates for sustained periods for the first time. The researchers are part of the GridPP project, the UK contribution to the international effort to build the LHC Computing Grid (LCG). 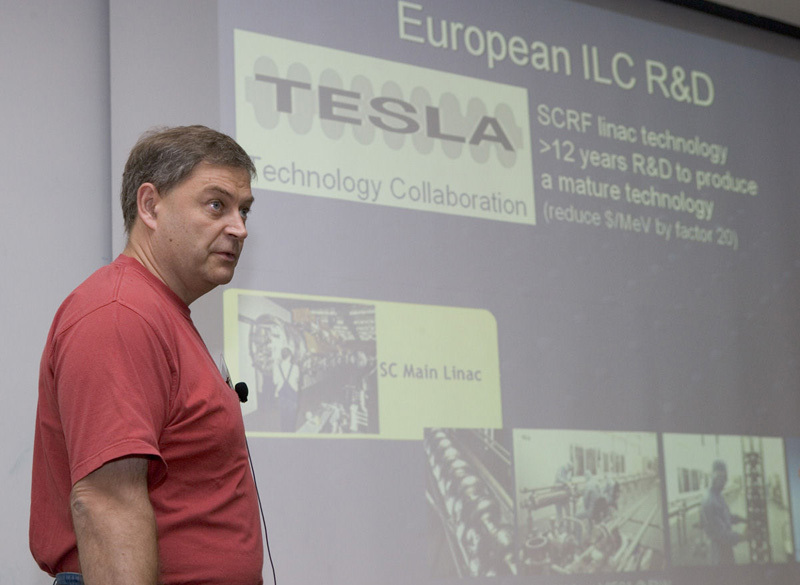 DESY's Nick Walker reported on European ILC Industrialization at yesterday's meeting. After the first day of the International Linear Collider Industrial Forum, more than 50 industries from across the United States and Canada have a clearer picture of the physics behind the ILC and the road ahead for making the proposed project a reality. Hosted by the Linear Collider Forum of America, this first industrial meeting in the United States aims to educate interested industry members and begin to establish an industrialization process for all three regions involved in the ILC. "The ILC is a major international project, and the industrial issues must be integrated throughout all phases of the project", said Ken Olsen, President of the LCFOA. "We are really just getting started. If we can get a real communication started now between scientists and industry, we can avoid many future pitfalls." Dan Lehman, Director, Construction Management Support Division of the DOE's Office of Project Assessment, has been honored with a Presidential Rank Award for 2004, along with four other senior managers in DOE's Office of Science. Lehman was cited "for his sustained exemplary performance and leadership in successfully leading major, state-of-the-art science projects critical to the United States and its international partners through complex and challenging planning, construction, and operations phases." His rigorous examinations, dubbed "Lehman reviews," have set the standard for establishing baselines and charting the progress of projects and experiments at Fermilab and throughout the DOE system. Also receiving a Presidential Rank Award was Bob Wunderlich, Argonne Site Office Manager, "for his sustained superior performance and leadership in the management of the operating contract with the University of Chicago for the Argonne National Laboratory." Wunderlich acted as Fermilab Office Site Manger in 1999, following the retirement of Andy Mravca, until the appointment of Jane Monhart in 2000. The other Presidential Rank Award recipients were Marvin Frazier, former Director of the Health Effects and Life Sciences Research Division of the Biological and Environmental Research program; Mike Holland, Brookhaven Site Office Manager, and Ari Patrinos, Associate Director of Science for Biological and Environmental Research. Do something nice for yourself, join the muscle toning class at the Recreation Facility. Class times are 5:30 - 6:30, Tuesday and Thursday. The next class is October 4 - November 3, 5 weeks for $40.00. You must be a member of the facility to participate. The open enrollment form must be in by 5:00 p.m. You can access further information on the Web. The symposium takes place on Saturday, October 8, from 8 a.m. to 3:15 p.m. at Fermilab's Ramsey Auditorium.